The demand of former President Goodluck Jonathan for 1 billion Naira expense cover may have brought a twist to the trial of Mr Olisa Metuh, a former spokesman of the Peoples Democratic Party. He had demanded that Jonathan would appear in court as a witness in his trial for alleged mismanagement of funds meant for the procurement of arms and ammunition for the Nigerian Military. 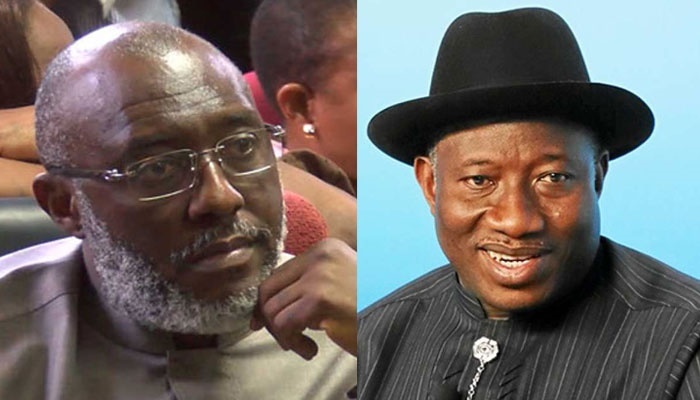 Metuh on Wednesday told the court that he had no 1 billion Naira anywhere to give to Dr Jonathan. He wants the court to strike out the former President’s demand for 1 billion Naira travel expense paid to him to appear in court as his defendant. Metuh claimed that he had been kept in custody for trying to prevent a former President from getting jailed and that he expected same protection. Jonathan had prayed to the court earlier to be given 1 billion Naira if he must appear in court at all to stand as Metuh’s defendant. I am not rich enough to meet Jonathan’s 1 billion Naira demand, he was said to have told the court. Metuh’s case is linked with that of a former National Security Adviser, Sambo Dasuki, who was also linked to alleged misappropriation or arms deal money had appeared in court after the DSS finally heeded to instructions of a federal high court to make him available. Colonel Dasuki (retired) and Metuh were major players in the Jonathan administration and have been accused of committing several atrocities - financial mismanagement and siphoning of funds for personal use. Boko Haram terrorists waxed stronger while the military was less equipped to face them. WATCH ARMED ROBBER MAKE REVELATIONS ABOUT HOW HE ROBS HIS NEIGHBOURHOOD.